I have become obsessed with reusable snack bags since our summer vacation! We traveled a lot this year and for us our portable snacks are a must. Often we are on a long stretch of road when someone mentions that, "a little snack would be nice about now." Other times we might be at some scenic place and a quick snack helps extend our enjoyment. If you also like the ability to take some snacks along, you can understand why I was so happy to receive these items from the nice people over at Planet Wise. These are great go-to bags for traveling with snacks. There is no need to worry about the food going stale if the kids don't finish everything. They do not take up unnecessary space in my purse. Another part about these snack bags is once the snacks are gone, I can fold them up to a small size to put in my bag, which is something you can't do with a bulky container! These bags are perfect for cut fruits, veggies, nuts, pretzels, sandwiches and more. They have a waterproof lining with a zippered closure so whether your treat is crunchy, crumbly, sticky or juicy, these bags are the completely portable solution and so much nicer than using disposable bags. 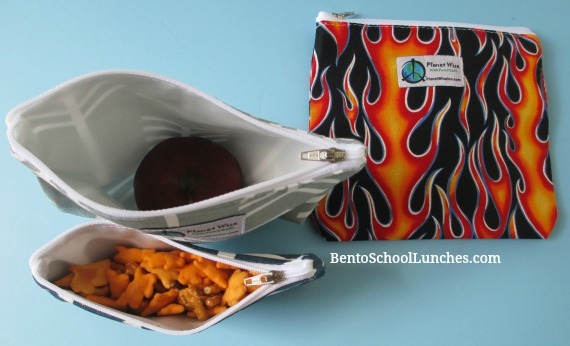 Not only are they great for travel but also to accompany Nikolai's school lunches. It will be great for after school activities when he requires a snack. These are high quality from the outer fabric to the lining to the zipper! The designs are cute and I find them really easy to clean. 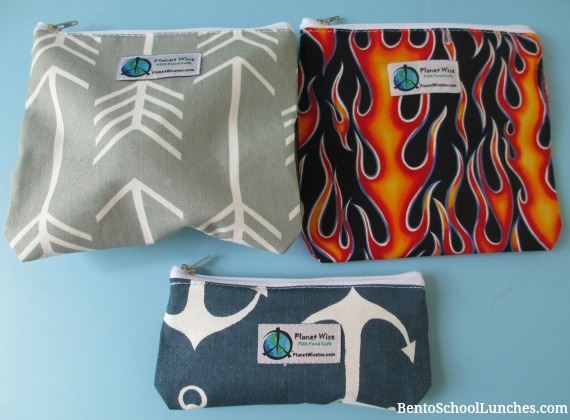 They have many cute patterns to choose from, which you can find here for the sandwich bags and here for the snack bags. The Planet Wise Sport Drawstring Bag with Waterproof Pocket shown below is such a great idea with its two sections in one bag; one for dry and another for wet clothes. Many times I've had to send an extra plastic bag with Nikolai for his wet or soiled clothes. This separate waterproof section is a most welcome alternative, and will be our go-to bag replacing those plastic bags. It would probably be easy for you to think of many things you would prefer to separate into this waterproof section. 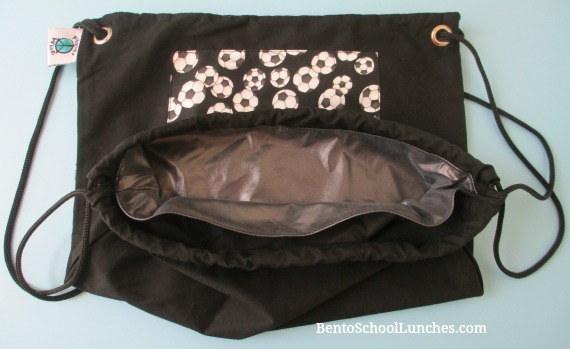 Then there is also the smaller zippered compartment for those items you want close to hand. They have many great patterns to choose from which you can find here. You can see both the waterproof antimicrobial inner bag as well as the other inner bag in the photo below. Brilliant concept, simple to use, and stylish too. I love it! Disclosure: Planet Wise generously provided me with the products for review without cost to me. Other than receiving the products, I have not received any compensation to write this review. All opinions are my own. We have a collection of the snack bags and we love them! 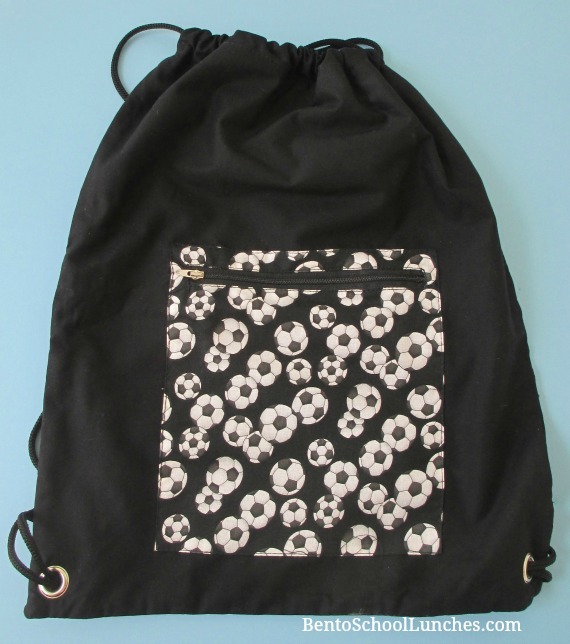 I've to look into the drawstring bag, looks cool. Thanks for sharing your review! !